Andy D. asks: What was up with David Bowie’s eye? Did he wear contacts or something to make it like that or have some sort of medical condition? David Bowie was a man who reinvented himself countless times throughout his roughly half-century long career; one thing that remained constant about Bowie’s appearance, though, were his eyes. For anyone who doesn’t have Bowie’s likeness burned into their consciousness, the musician famously had one brown eye and one blue eye. Or at least, it looked like he did in pictures. You see, in actuality both of Bowie’s eyes were the exact same colour- light blue, something the singer himself was quick to point out in interviews. So why did it often look like they were two different colours? Bowie suffered from a condition called anisocoria, which basically means that his pupils were unequally dilated. An estimated 20% of people have some form of anisocoria. But in most cases, it’s largely harmless. 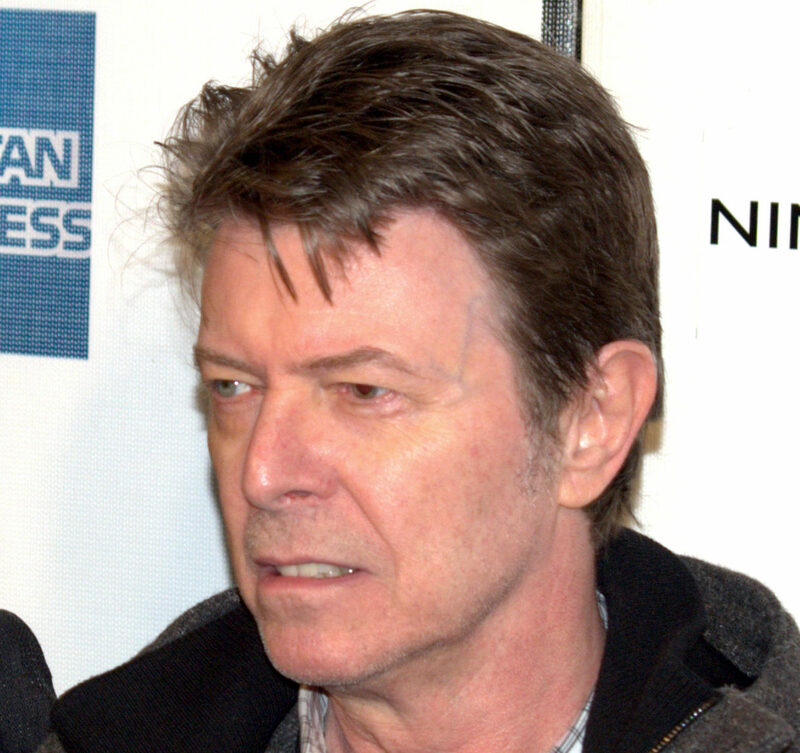 However, in Bowie’s case, the dilation was extremely pronounced and resulted in limited vision in his left eye. Anisocoria can be caused by everything from a condition known as Horner’s syndrome to a particularly bad migraine, though most people will simply be born with it. In fact, statistically a lot of you reading this will suffer from a minor form of anisocoria that is barely noticeable without close examination. Finally, it’s also possible to have anisocoria as a result of injury or trauma, which is what happened to Bowie. Unbeknownst to Underwood, this act damaged the muscle in Bowie’s left eye responsible for contracting his iris, leaving it permanently dilated. Now, people get punched in the face all the time with no permanent damage, so why was Bowie’s case different? Well, as the singer himself would later state: “It wasn’t a very hard punch but obviously caught me at a rather odd angle” with Underwood’s fingernail scratching the surface of Bowie’s eye, damaging the aforementioned muscle within it. Despite efforts to save the sight in his left eye by physicians, he was left with permanently impaired vision- with Bowie describing it as “very hazy”- and his pupil remained fully dilated for the rest of his life. Bowie would further explain in an interview that the fact that his left pupil was constantly dilated sometimes gave the impression that it was a different colour to his right eye. Pictures of the singer only played into this idea since high-contrast photos, especially those taken with flash or in a well-lit studio, tended to emphasize the difference in the size of his pupils (functional pupils being wont to contract in bright light and all that). This gave the illusion that his right eye was dark brown, or even jet black depending on the photo and lighting. The left eye was also more prone to the red-eye effect in cameras (see: What Causes Red-Eye in Photos), further making pictures of his eyes look markedly different. The fact that Bowie’s eyes were naturally a shade of very light blue also helped highlight the difference, leading to rumors that he suffered from heterochromia or even wore different coloured contact lenses as a part of his carefully tailored look. Neither was true and Bowie was always quick to point out that the way his eyes looked was caused by childhood injury. Since Bowie grew up to be a legendary rock star where his ability to see wasn’t as important as how cool he looked, he claimed the injury actually ended up being mildly beneficial to his career. Some of the most famous images of Bowie highlighted his condition and the singer himself was only too happy to take photos that emphasized his eyes, all of which fueled, as Bowie called it, the “mystique” around his name and image. In fact, Bowie was so aware of how much of a boon his condition had been to his career that he reportedly ultimately thanked Underwood for hitting him. On top of quickly forgiving the man who cost him much of the sight in one eye, the two men remained lifelong friends, with Underwood even providing artwork for some of Bowie’s early albums. 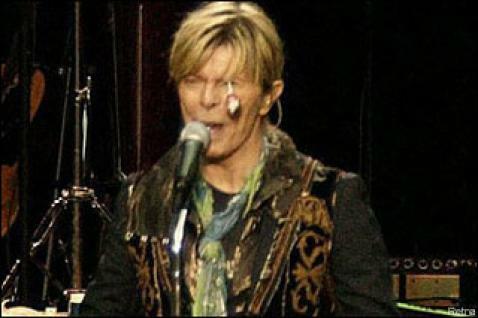 In 2004, while performing in Oslo in Norway, Bowie was hit in the left eye by a lollipop thrown by a fan. The candy missile was thrown with such force that the stick became lodged in the singer’s eye… (Seriously) After having the lollipop removed from his eye socket by a member of security, Bowie told the gathered crowd “You’re lucky you hit the bad one” before finishing the concert. For more candy related musical shenanigans, check out our article on that time the Beatles were mercilessly pelted with jelly beans.